The first dinner in Chef Marion Ohlinger's 2015 Appalachian Global Dinner Series was held last night. As he searches for his next restaurant, he's completing his dinner series in a host of guest kitchens in the area. 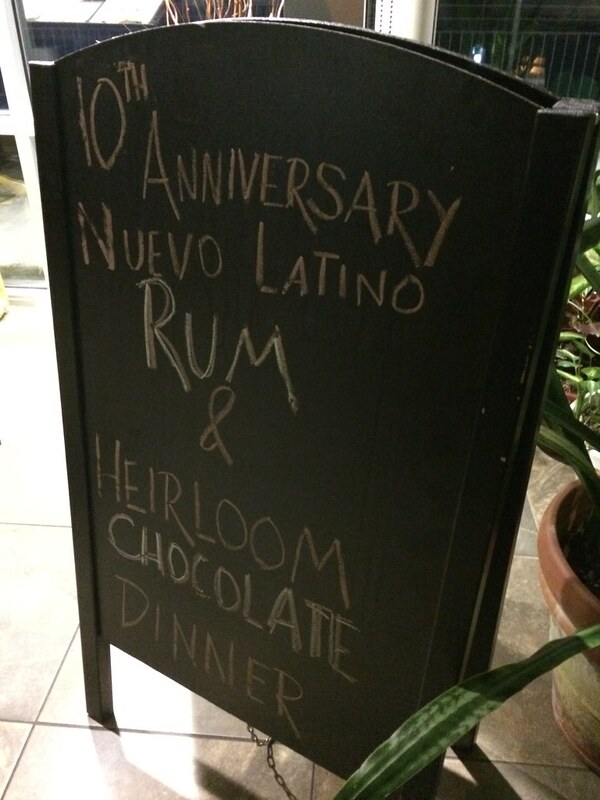 The 10th Anniversary Nuevo Latino Rum & Heirloom Chocolate Dinner was held at Table 9 on Jan. 30 and Jan. 31. The goal of the Appalachian Global Dinner Series is to highlight the role of Appalachian cuisine in global culture, and to bring West Virginia recognition as a culinary destination, as per the website. "Along with showcasing West Virginia’s bountiful agricultural heritage and future, our goal is to bring attention to heirloom varietals and responsible organic agricultural practices. 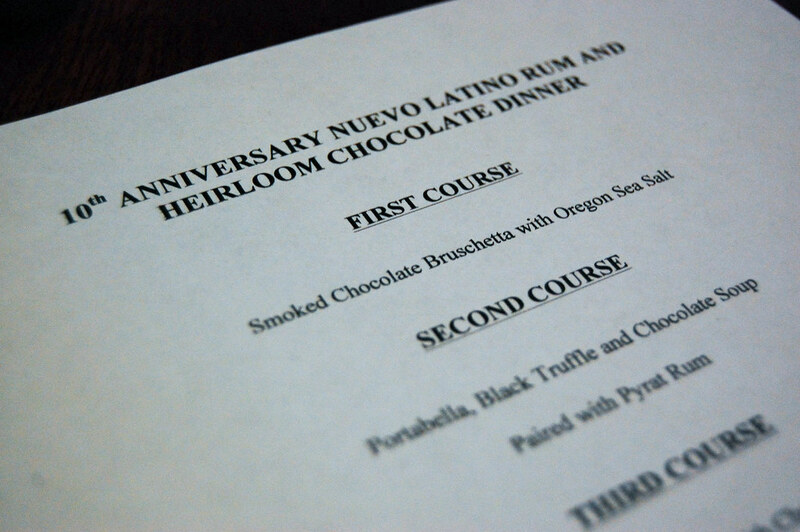 The Nuevo Latino Rum & Heirloom Chocolate Dinner is designed to highlight the savory side of chocolate, rather than the sweet. In its original form, chocolate was utilized in Latin America to accompany meats, most often pork dishes, but also chicken, wild game and occasionally fish. The moles of traditional Mexican cuisine are probably the most well-known and raw chocolate is an essential ingredient in hundreds of dishes in Central American and South American cultures. The chocolates featured are single origin, single bean heirloom varietals, meaning they are grown on a single farm or plantation in the area the individual bean is indigenous to, and from genetically undiluted cocoa. They are organically grown, handpicked and processed into chocolate by their growers. The heirloom chocolates will include a 78% cacao Peruvian Forestero, a 66% cacao Venezuelan Criolla and a 73% cacao Costa Rican Trinitario. The meal will be accompanied by an optional flight of premium rums to enhance the meal. The rums will range from clear sweet rum from Trinidad, house-spiced locally-distilled rum from West Virginia and rich aged rum from Venezuela." 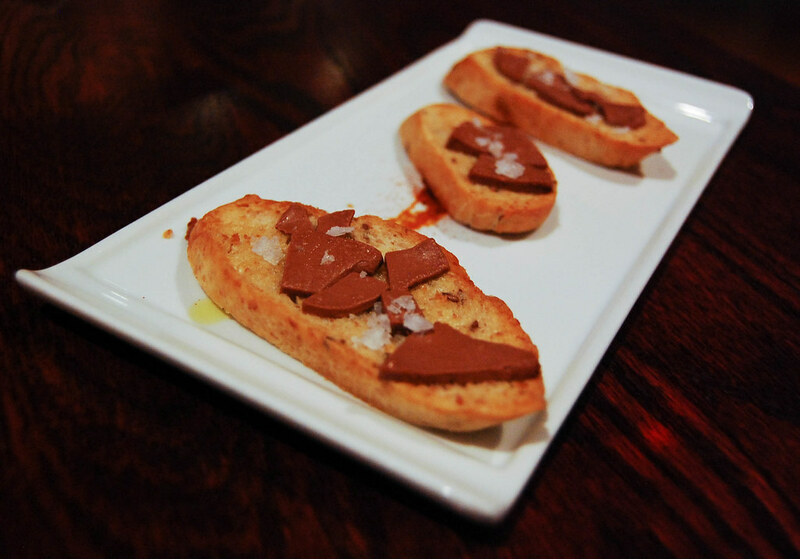 Smoked chocolate bruschetta with Oregon sea salt. I've never had a bruschetta in this way (which is exactly why I want to frequent these dinners). But the flavor combination isn't too far off - think of a chocolate covered pretzel or maybe a piece of toast with nutella. The crunchy and sweet combo - plus the salt - was tasty. 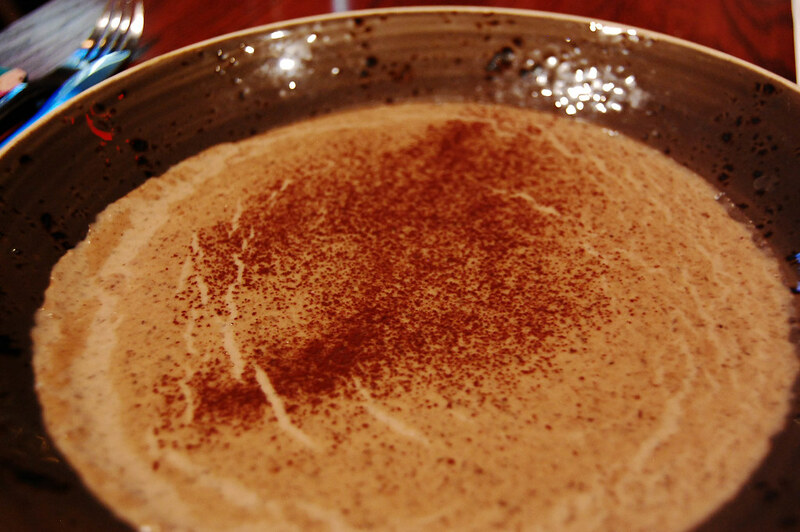 Portabella, black truffle and chocolate soup, paired with Pampero rum. For as many restaurants I've been to, I don't think I've had just a bowl of mushroom soup. I tend to think of it as a cooking soup. But this was different - I liked the texture of the mushrooms and a some nice bits of pepper in there was surprising. 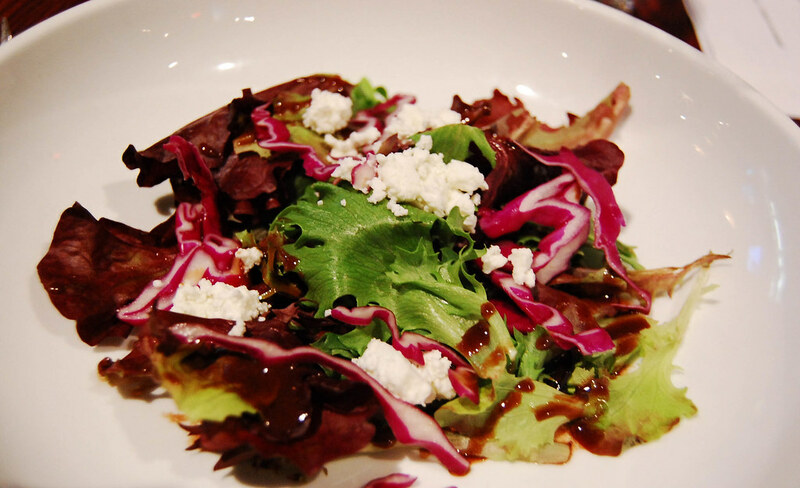 Firefly Farms Appalachian chevre salad with chocolate balsamic vinaigrette. This was a perfect progression as the soup we had was this deep flavored, velvety texture dish, so the nice light crunch of fresh greens, cabbage, a soft cheese and the balsamic dressing was lovely. Cocoa rubbed free range pork, chicken or tofu with Juniper chocolate barbeque, paired with 10 Cane rum. I went with the pork because it seemed to be the best with the flavor combo. I tend to say I'm not crazy about pork in general -- but that's because it's never done like this. This is some of the best pork I've ever had. Easily. My photo doesn't do this justice. 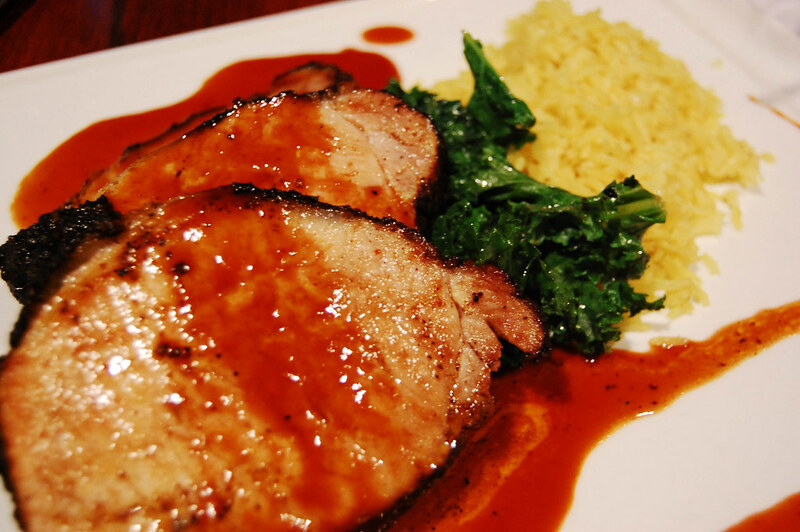 The pork was cooked perfectly, and that sauce - I would buy it by the gallon if I could. 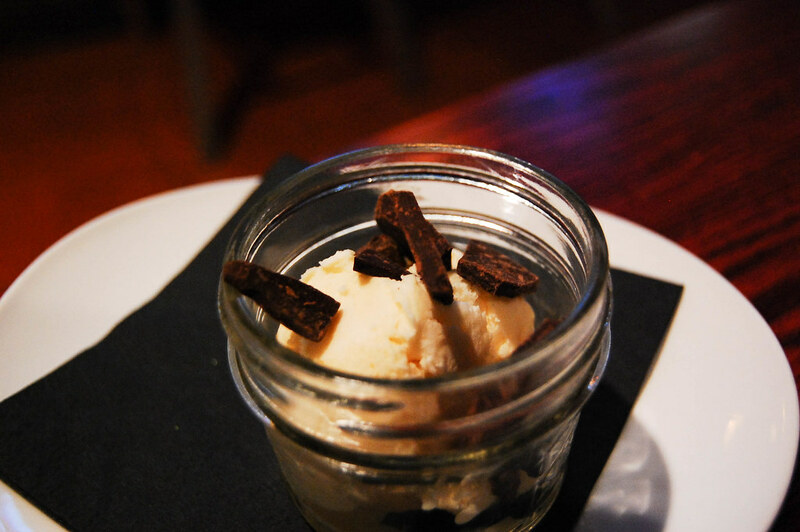 White Chocolate ice cream with black chocolate cracklins, paired with spice-infused Forks of Cheat Ridge Runner Rum. Dark chocolate is a bit bitter for me, so I focused more on the ice cream itself, which had giant chunks of white chocolate. Inside the ice cream. Delicious. Oh, and the rum for this one was sooo smooth. Just so good. Stay tuned for his next dinner.